The Roland SolJet Pro 4 XR-640 printer is the latest development in Roland's print and cut offering. A highly popular model, offering high quality without compromising on production rates. 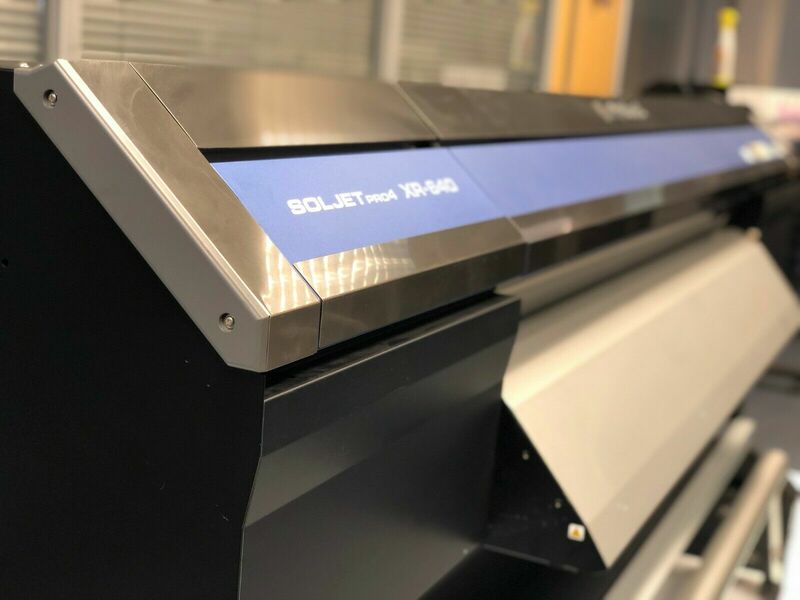 For years, the SolJet Pro printers have developed an incredible reputation for reliability, quality, versatility and much more, the latest evolution of this, the XR-460, is no exception. 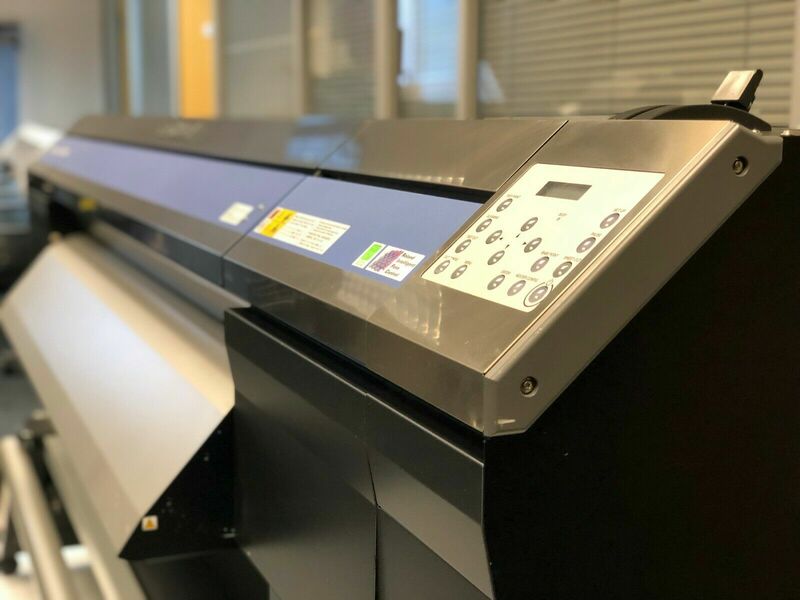 Offering wider and faster print and cut than ever before, the XR-640 sits in a class of its own amongst other large format printers. The XR-640 from Roland incorporates the newly developed EC0-SOL MAX2 ink, including, for the very first time, a light black option. This offers enhanced neutral greys, natural skin tones and much more. Along side this, the updated inks have a high-opacity white and a fast-drying metallic silver, set your ink configuration to your choice upon ordering. The new ink works brilliantly with the latest print head technology which virtually eliminates bi-directional banding of any sort. With its ability to print up to 49.1m² per hour, you can build your business and reputation on Roland’s high-performance Pro 4 XR-640. 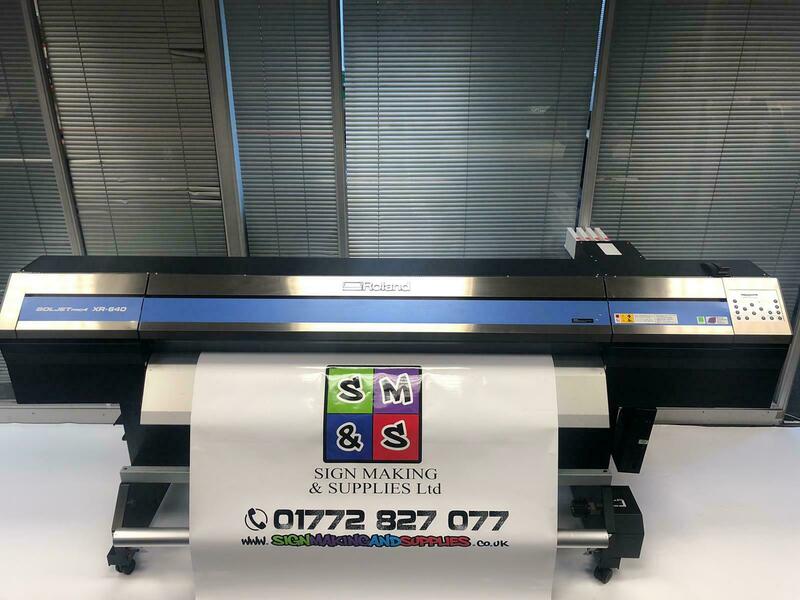 Exceptional image quality coupled with your choice of specialty inks enable the quick production of high quality, vibrant wide format banners, signs, posters, vehicle graphics, labels, decals, POS displays and more that are simply out of your competitor’s reach.